Taiwanese tech giant Asus may be all set to launch its fifth-gen ZenFone lineup at the upcoming MWC tech show in Barcelona, but it hasn’t forgotten its older devices just yet. The company has now announced that it has started the rollout of Android 8.0 Oreo for two of its relatively older smartphones – ZenFone 3 5.2 (ZE520KL) and ZenFone 3 5.5 (ZE552KL). Asus had earlier promised Android Oreo for its entire ZenFone 3 and ZenFone 4 lineups, and towards that end, had started rolling out the new software to its ZenFone 4 (ZE554KL) units earlier this month. While the two aforementioned devices will be the first ZenFone 3 devices to receive the update, Asus says it will roll out the software to other ZenFone 3 models in the near future. According the company’s official press release, the update comes with software version 15.0410.1712.31, and was first released on January 29. However, as with any other software updates, the company is expected to roll out the software in a phased manner, so you will probably receive the notification in the coming days if you haven’t already. In case you own either of the two devices, you can also check for the incoming update manually by going over to Settings > About > System Update. The new version of Android is wrapped up in Asus’ proprietary ZenUI 4.0, which brings along a plethora of new features and modifications to the device in addition to all the core software features of Android Oreo. As part of the latest software, users get an updated launcher that supports the swipe-up gesture to open all apps. It also brings changes to app icons and comes with a more user-friendly UI design for the ‘Settings’ app. Some of the core Android Oreo features that are also expected to be rolled out as part of the new update are Background limits, Autofill, Smart text selection and Picture-in-Picture mode. The update is also said to bring Android Instant App support, along with a fully-redesigned emoji set, adaptive icons and easier installation for unknown apps. Asus also says that the update will improve battery efficiency and reduce boot times. As for Asus’ own custom tweaks, the company is going the way of Xiaomi, Honor and some other vendors by including a custom feature that allows users to run two instances of the same app with different user accounts. 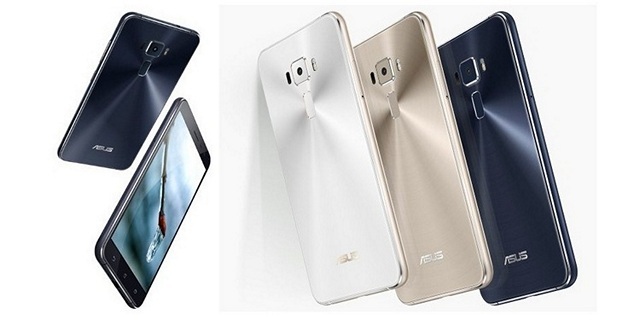 Asus is calling it ‘Twin app’. An SOS feature and a Page Marker functionality are also expected to be rolled out as part of the latest update.